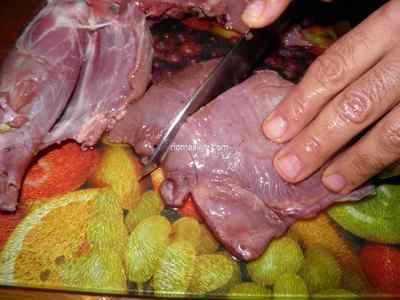 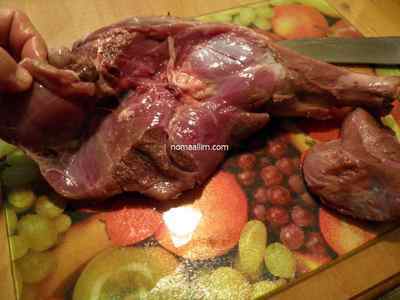 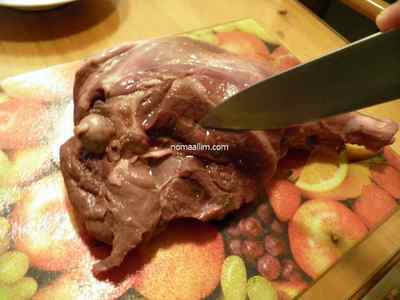 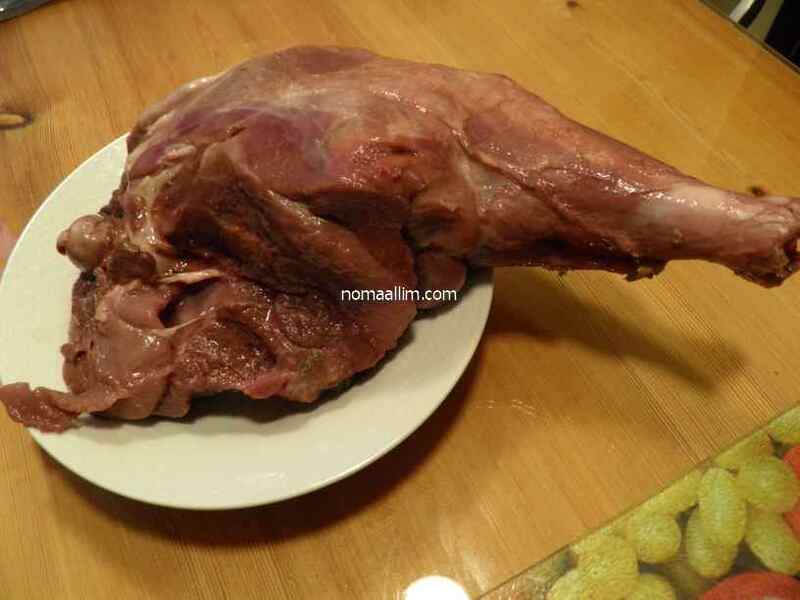 You can cut the wild boar legs before or after soaking them in a marinade. 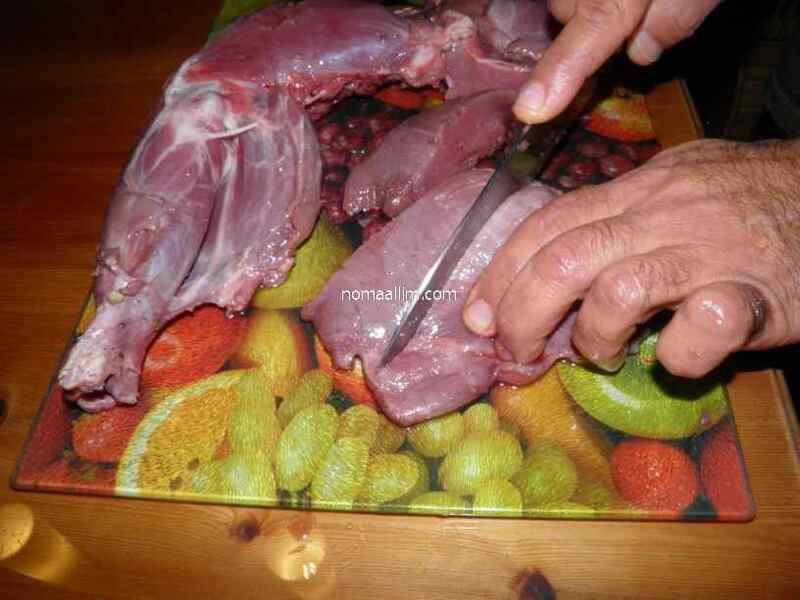 Start by cutting the meat parallel to the bones. Cut at the edge of the bone in a manner to have the largest possible piece of meat. Follow with your knife the membranes separating the leg muscles to split the meat as shown in the right picture. 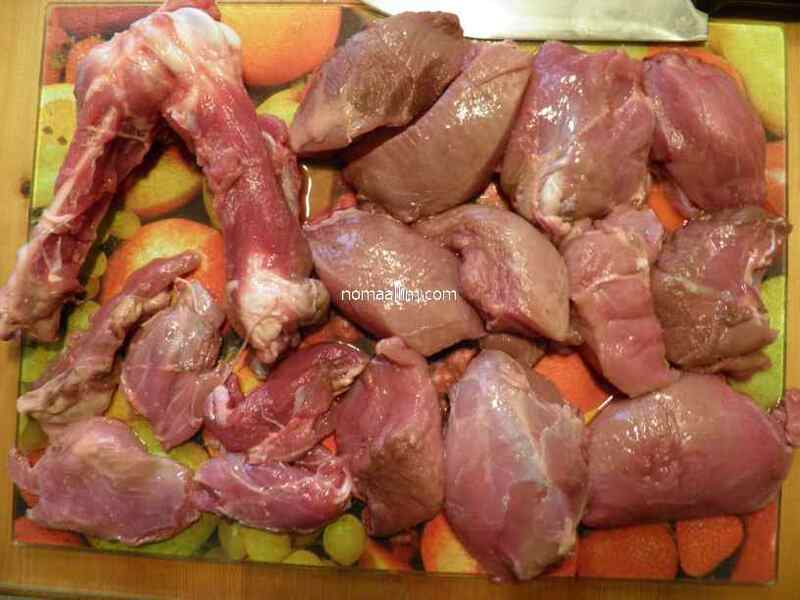 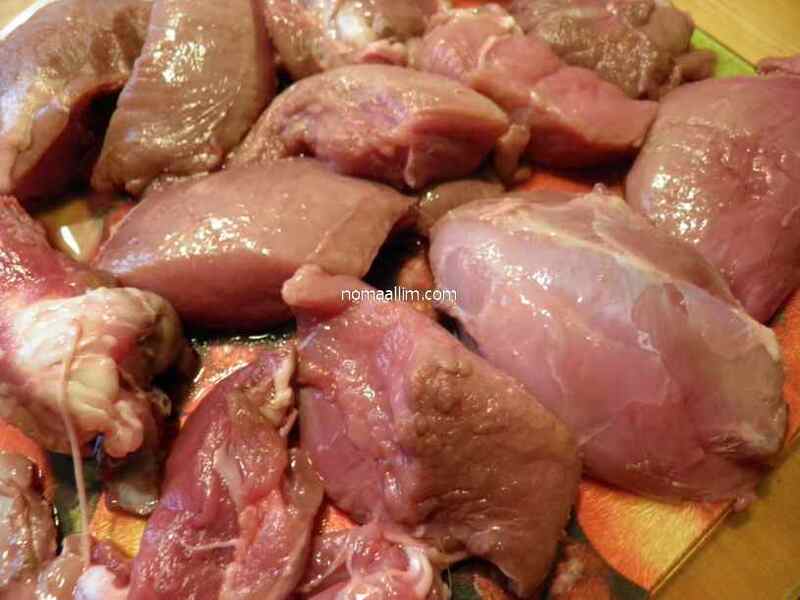 Cut the large meat chunks into smaller ones to the cooking size of your choice. Put the leg bone that was left in a casserole and add the above listed stock ingredients. 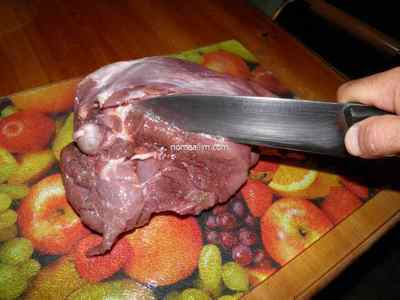 Bring it boil on medium heat then leave it on low heat for half an hour.